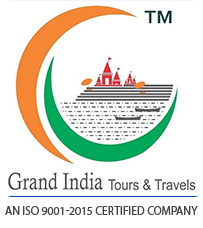 Full day sightseeing tour of Old Delhi. Visit Jama Mosque, Red Fort from outside, Rajghat – Mahtma Gandhi’s cremation place, drive past through India Gate, President House, Rajpath, Government buildings. Overnight stay at Hotel. Leisurely in the Morning drive to Agra en route visiting Sikadra, on arrival check-in at Hotel. Afternoon sightseeing tour of Agra city. Sightseeing tour of Taj Mahal - regarded as one of the Wonders of the World, built by Emperor Shahjahan in pure white marble in memory of his beloved Mumtaz Mahal. visit Agra Fort. Massive Agra Fort which has been the seat of Mughal rulers for several years. The fort has palaces with pavilions, gardens, mosques, baths etc. Agra is known for its superb inlay work on marble and soapstone by craftsmen who are descendants of those who worked at Taj Mahal. After visiting Taj Mahal enjoy demonstration of Inlay on marble. Overnight stay at Hotel. Morning drive to Ranthambore en route visiting Fatehpur Sikri, It is believed that when Emperor Akbar came here to seek the blessings of a venerated Muslim saint, Sheikh Salim Chisti, for an heir, he was blessed with a child who later came to be known as Emperor Jehangir. Pleased by this, Emperor Akbar named his son after the saint and laid foundations of this new city in 1569. On arrival check-in at Hotel. Overnight stay at Hotel. Morning and afternoon jungle safari to Ranthambore National Park by canter (Cost for canter will be paid by you). In time drive to Jaipur, on arrival check-in at Hotel. In the evening pay a visit to Birla temple at the time of prayer ceremony. Overnight stay at Hotel. 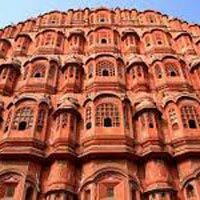 Morning sightseeing tour of Jaipur city includes Photo stop at Hawa Mahal: the palace of winds, Jantar Mantar : the observatory on stone and the City Palace Museum which contains the original collection of the Maharajas of Jaipur. Later visit Amber Fort. At Amber Fort you climb up the fort on Elephant's back like the Maharajas and visit the Amber Palace of the Kuchchawa rulers. In time drive to Delhi, on arrival in Delhi straight proceed to the International Airport to board the flight for onwards destination.